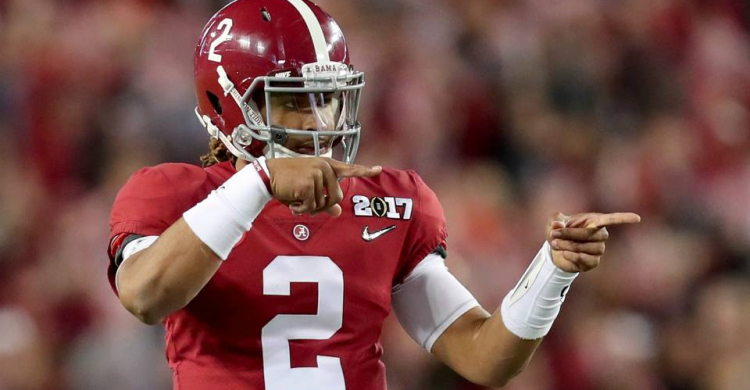 Nick Dunning takes you through a full slate of Saturday college football action and shows you where to put the smart money. Crazy that it’s already week six, but here we go again! Mark and I have switched back this week, so I’m here to give you all the big winners this weekend. Looks like a great week to win some money, so let’s dive right in! Tulane looked really good in last week’s dispatching of Memphis, and we like the way the program is headed with former Georgia Southern coach Willie Fritz at the helm. They appear to have turned a corner regarding comfortability with his unique spread option attack and their defense is very solid as well. I like them to keep it going this week in Cincy and it wouldn’t shock me to see them come up with another big road victory. After (wisely) taking last week off from them, we go back to the Buffalo well once again this week. It’s pretty much the same theme as we’ve been saying every week, this team is pretty good. Anthony Johnson is expected to return after being significantly limited last week in the ugly loss to Army (who appears to be rolling now with impressive performances at Oklahoma and Buffalo), Buffalo gets back on track this week against a Central Michigan team the got bet by 40 by Kansas. While 35 seems like a lot of points, Arkansas is a really bad football team, and Alabama is...well, Alabama. Arkansasa already has ugly losses to Colorado State and North Texas under its belt, but it’s about to add its ugliest one yet. This one gets ugly quick and Tua and the boys don’t look back. Maybe there will be a little risk of a hangover after the heartbreaking loss to Clemson, but I think it’s more likely that they jump right back on the horse and have another strong performance. The defense has been solid this year and Pitt hasn’t impressed me, especially defensively. I like the orange to put up some good offensive numbers and I don’t see Pitt keeping up. Northern Illinois has had an incredibly greuling schedule for a MAC team and will certainly be welcoming of league play. They’ve struggled a bit offensively, but their defense is legitimate and I think some of the offensive woes have been a result of stiff competition (losses to Iowa, Utah, and Florida State). I think they get back on track and dispatch an average-at-best Ball State team fairly easily. Sure, Florida looks to be much improved, especially at quarterback, but I’m still not buying it. I’ve seen Feleipe Franks flounder and throw terrible interceptions enough to expect a couple tomorrow. LSU appears to be the real deal this year and they’ll go into the swamp and ride their defense to victory. San Diego State is expected to be without their top running (Juwan Washington) and their quarterback (Christian Chapman) in this one, and that’s too much to overcome against a team that was already more talented than them. Plus the blue turf. Boise wins easily. Virginia Tech rebounded well from the ugly Old Dominion debacle with a strong win over Duke behind their backup quarterback Ryan Willis, but Notre Dame is running like a well oiled machine right now and even though they will be without Jafar Armstrong, the other backs they have are super talented and will have no trouble carrying the load. The environment will surely be crazy until Notre Dame races out to a 14 point lead in the first quarter and takes the crowd right out of it. New Mexico State is awful. Liberty isn’t a great team by any stretch, but they’re less bad than the Aggies. Liberty has some weapons offensively in Buckshot Calvert and Antonio Gandy-Golden and they will make enough plays to pick up the victory in the desert. Oregon State has allowed an average of 45 points per game this year. The question is going to be if they can score enough on the Wazzou defense, but I think with Jermar Jefferson rolling like he is, they will. These two teams have also combined to go over the projected totals in 7 of their 9 games. Speaking of teams that have it rolling right now, how about these Wildcats. The best way to take the mind of big blue nation off of the potential basketball scandals is to turn into a football school. Bennie Snell is a monster and this will be a fun matchup of premier running backs with him and Trayveon Williams. In the end, I think Snell makes enough plays and the defense hangs tough for Kentucky to go steal a win on the road. BYU’s defense will be tested again by the high powered Utah State offense, but at the end of the day, the aggies don’t play enough defense. Interesting sidenote, all 4 of Utah State’s games have gone over the total, while all 5 of BYU’s games have stayed under. I’ll take the defense.